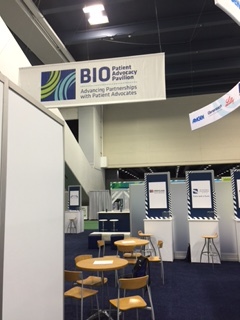 A few hundred patient advocates operating from a small sub-section carved out of three cavernous exhibit halls could easily get lost amid the 16,000 scientists and business folks attending the BIO International meeting in San Francisco last week. But their voice was heard as they made great use of the meeting to remind companies developing therapies that they are the end user. They are the reason why the companies exist. Talking to many advocates representing their constituents from the tiny two-foot by one-foot shelves and a stool they were each given within the advocate zone a couple of consensus points came through. The meeting provided incredibly valuable contacts for the patient advocates, and the attitudes of the companies are changing. 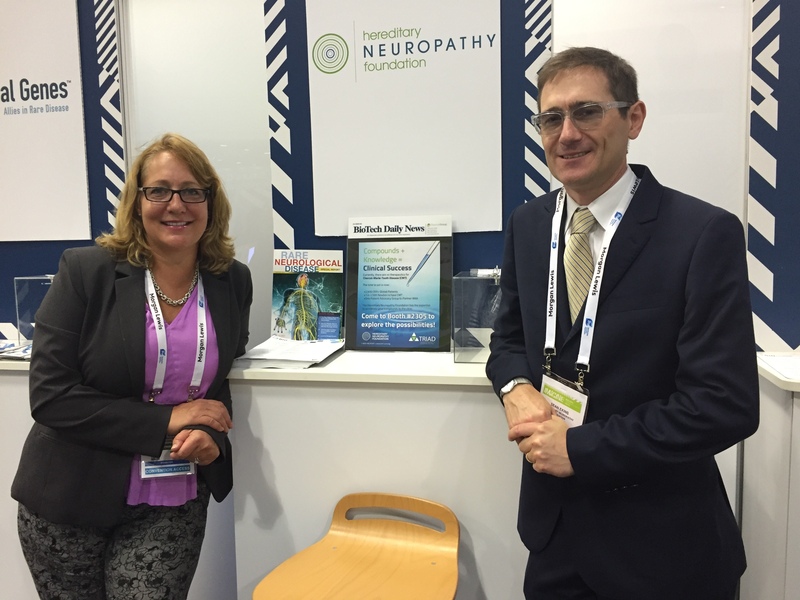 We had a lengthy discussion with Sean Elkins, chief science officer, and Allison Moore, CEO, of the Hereditary Neuropathy Foundation. They fight the battle to get therapies to their constituents on two fronts: The battle to get funding for the research as well as the added barrier of working with orphan diseases. They represent folks with Charcot-Marie-Tooth (CMT) disease and a half dozen related neurologic conditions. And while a prevalence of one in 2,500 makes it one of the more common orphan diseases, they have no treatments, and still have a hard time getting some company’s attention. Moore’s own story highlighted the dedication evident among the advocates at the meeting. She is a patient herself and not just a foundation executive. She worked the meeting so hard that by the third day she had bandages on both legs to cover the blisters from the braces that allow her to walk despite the underlying illness. Thanks for the report- it’s slow, but inevitable: patients and advocates are gaining the attention of academic researchers and companies. Let’s not forget the tremendous influence of people with HIV on government funding for HIV research. However, we also need to realize the difference in tactics for influencing conventional pharma drug companies to turn their attention to orphan disease and the uphill battle of advocates for stem cell therapies, which are not being developed in pharma. Patient groups like Summit for Stem Cell (http://www.summitforstemcell.org) are taking the development of stem cell therapies into their own hands. Summit advocates are raising donations for development of stem cell therapy for Parkinson’s disease. Parkinson’s disease is not an orphan disease- a million people in the US have the disease. But in spite of Parkinson’s disease being described as a “poster child” for stem cell therapy, it hasn’t yet caught the attention of funding agencies like CIRM.